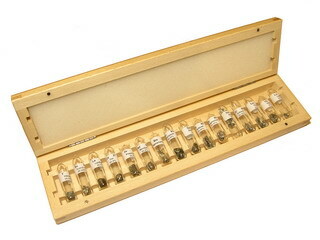 Separated in 1885 by Baron Auer von Weisbach. 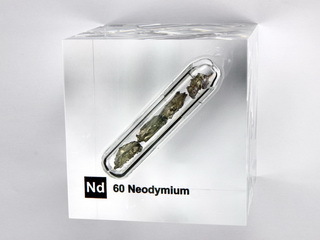 Neodymium is one of the more reactive members of the lanthanide group. 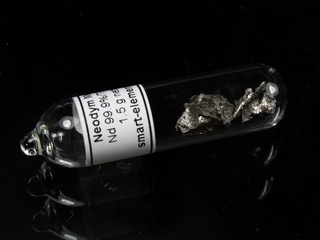 It oxidises rapidly in air to form an oxide which rapidly spalls away to reveal fresh metal. 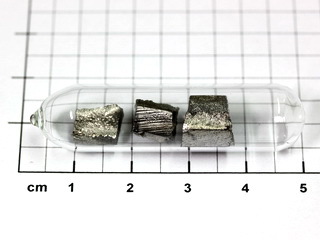 The metal reacts slowly with cold water and rapidly with hot water. 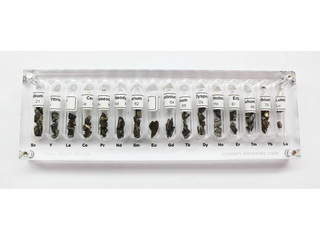 The metal is found in monazite (CePO4, a principal source of the rare earths and thorium) and orthite. 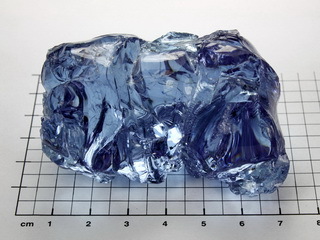 It has an abundance of 38 ppm in the earth's crust. 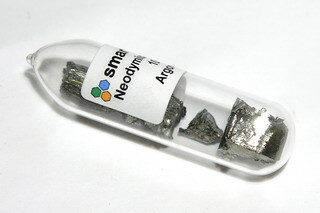 The applications for pure neodymium are limited, but it is used in alloys used to produce permanent magnets and flints. 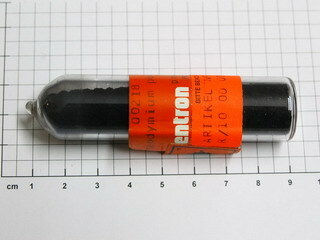 It is also used as an additive to glasses which are used in solid state lasers and light amplifiers. 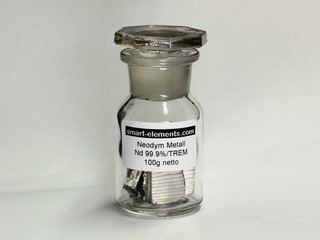 100g Neodymium metal pieces 99,9% under argon! 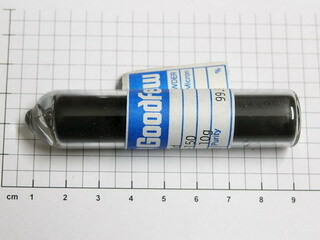 Neodymium 3+ doped phosphate glass bead NEW!